A couple of days ago, I experienced the Bootloader Loop of Death (aka BLOD) on my Huawei Nexus 6P. 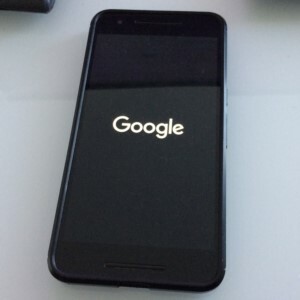 I had that Android phone as my primary device for about 2.5 years (my initial review of Huawei Nexus 6P). I used the phone for everything! WIFI and Mobile Data all the time, for taking tons of pictures, especially NFC for mobile payment with Android Pay, and mobile hotspot when connecting to my laptop. As often as I heard rumors of other phones having this BLOD problem, I was never concerned about it because I never had that problem. I just assumed all the attention BLOD was getting was within an acceptable range of failures. It's one of the situations where I assumed it would never happen to me. But thinking back, I would pinpoint that the signs of BLOD were always present. Right around 1.5 year I had been using the phone, it began to show signs of intermittent shutdown problems. Often times when the camera was activated, whether intentionally or accidentally), my phone screen would freeze, then turn black, and then reboot. As annoying as it was, it was tolerable. The random shutdown happened at most once a week. The primary problem was that the smartphone would continually reboot, never ever fulling booting. Access to any apps or data (photos, text messages, etc) is impossible to access. And that's the worst. Luckily, if you're integrated with the Google ecosystem, your photos are frequently backed up. For me, the biggest data problem wasn't the big items like text messages or photos, but rather ancillary data related to other apps that are no backed up and cannot be restored. If you use Google Authenticator, note that Google does not back up anything except the Google credentials. Anything outside of Google codes will need to be re-added. When searching online, many links (here and here) suggest the problem is that of the 8 core processor (4 high speed, 4 low speed), one of the high speed cores have malfunctioned thereby causing the phone to endlessly reboot. And if that really is the cause, it's a shame that there isn't a built in way for Android to detect such a state and automatically disable faulty cores. I recall when I did research on the high end Playstation (I don't recall the version), their system had extra cores that could be swapped in when they detected hardware issues. However, because Android can be used on various types of hardware, my best guess (I could be completely wrong!) is that Google can't build in that level of sophistication. My opinion is that since Apple is tied only to one set of hardware, they are able to better link their software to their target hardware. As much as I love Android, I have to admit that my experience has been that Apple iPhones are more reliable. Here are many of the links that outline exactly what you need to do to fix it. The gist of the fix is some minor file changes that will disable all of the fast cores, since the general consensus is that's the root of the problem. Since you're disabling 4 of the fast cores and only utilizing the 4 slow cores, this fix would cause significant performance degradation. Therefore, even if I were to get this to work (which I wasn't), I would only do it to get the data off the phone. The fix outlined in pretty good detail below basically flashes the bootloader with one that you customized to disabled the 4 fast cores. PITFALL: This fix does require the bootloader to be unlocked, so if it isn't, then the fix it more challenging because to unlock the bootloader, you need Android OS to actually load. Some have tried a heat gun or hairdryer to get it past the bootloader. The heat temporarily disables the malfunctioning cores allowing a normal-ish boot. So if the BLOD is happening, how can I turn it off. Holding down the power button does nothing. Press and hold the [Power Button] and [Volume Down] until you see the screen with an Android on his back. Press [Volume Down] multiple times until you see "Power off". Press the [Power Button] once to shutdown. Most importantly, if you've stumbled upon this problem, I would suggest you unlock your phone's bootloader so it's ready to be flashed. The only concern with unlocking your phone's bootleader is if you're phone is still under warranty, then this process may void your warranty. But if your phone is out of warranty (generally one year from date of purchase), you should just unlock it. Ironically, the main reason I didn't end up unlocking this phone is I expected keeping the phone locked to Google specs would make the phone more reliable. Apparently, that was a big mistake.